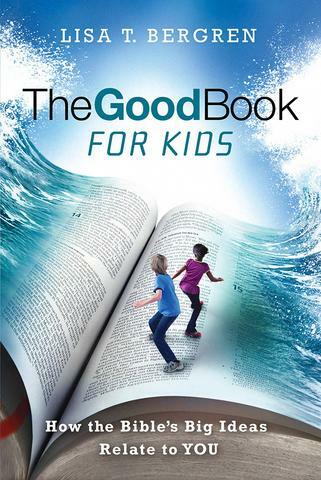 As an engaging, kid-centric version of The Good Book, this guide draws readers (ages 8 to 12) into God's Word, encourages personal application, and provides great discussion starters for families. As a kid-centric version of The Good Book, this guide draws readers (ages 8 to 12) into God's Word, encourages personal application, and provides great discussion starters for families. The Good Book for Kids is a friendly guide to biblical basics every kid should know. Like the adult book, this youth edition from bestselling author Lisa T. Bergren introduces readers ages 8 to 12 to the Bible's biggest ideas but in kid-friendly ways--through engaging storytelling, historical insight, and an "Imagine This" section. Each chapter includes a Scripture verse and discussion starters to help kids and families apply scriptural truths to their lives. The Good Book for Kids is great for individual reading or to be used over 8 weeks as part of a church-wide program, for Sunday school classes, or for family devotions. From Genesis to Revelation, The Good Book for Kids is inspiring for any family David C. Cook who wants to understand the Bible better and, more importantly, grow together in faith.